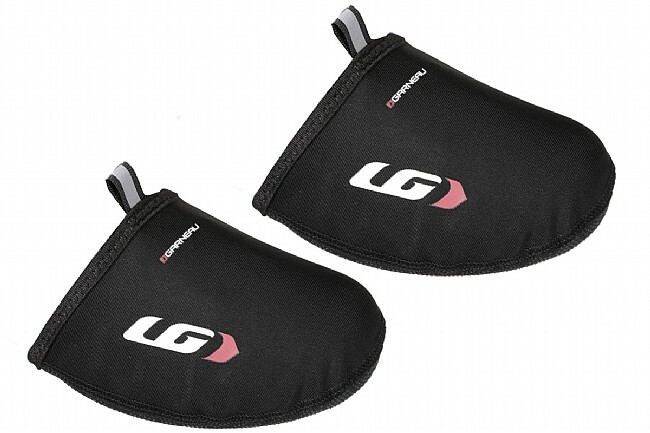 On chilly days, keep your toes warm inside your shoes by using some neoprene toe covers like these Thermo Toe Covers from Louis Garneau. 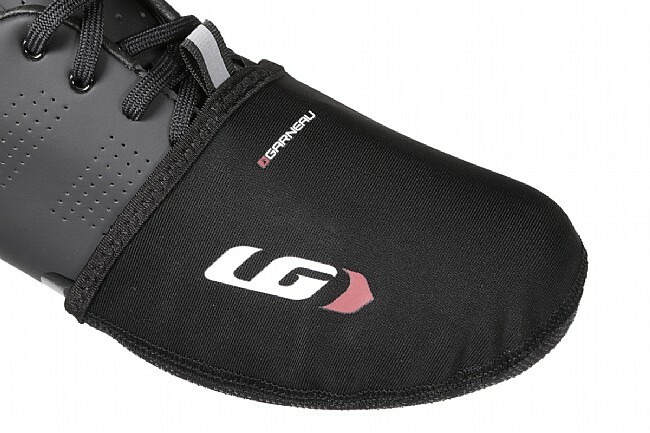 They're made from 3 mm thick neoprene with a durable anti-slip layer on the sole for extended use. 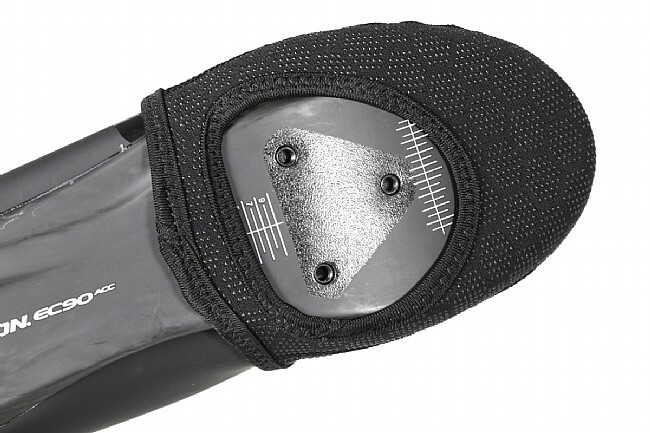 A cleat cutout is ample for fitting over road cleats of all types, and there are reflective pull tabs on the tops for easy on / off.